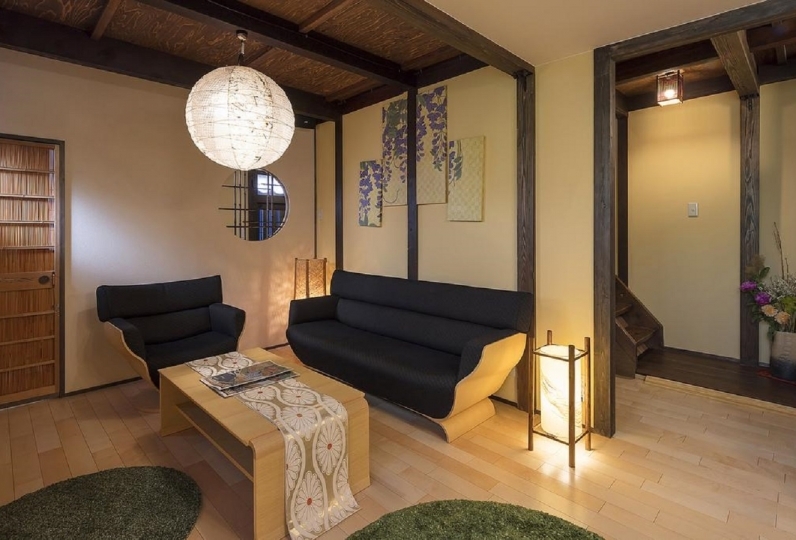 Located right beside the Heian-jingu, we welcome you to this Japanese paper (washi) themed Kyoto-style townhouse. 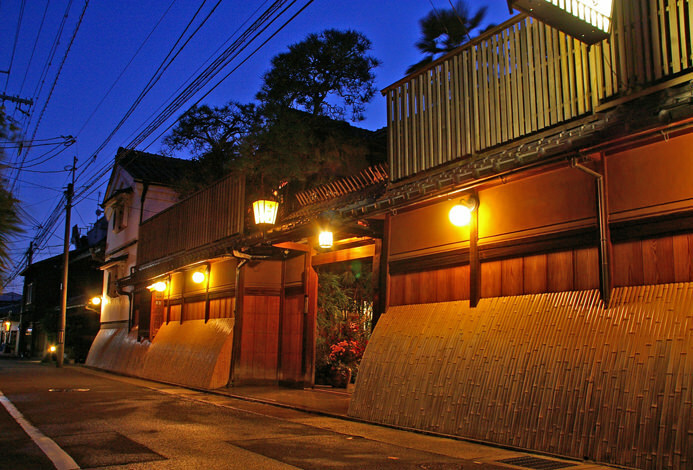 From the moment you step inside you'll be engulfed by the gentle light of the Japanese paper lamps. 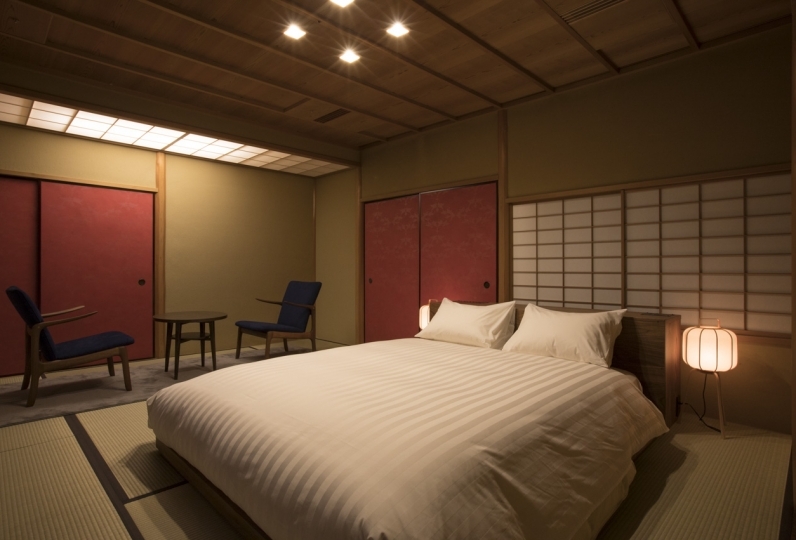 From accessories to ornaments, the UNESCO Intangible Cultural Heritage designated Japanese paper is used in the nooks and crannies of the rooms. We'll even prepare green tea as a welcome drink to help you relax from your trip. 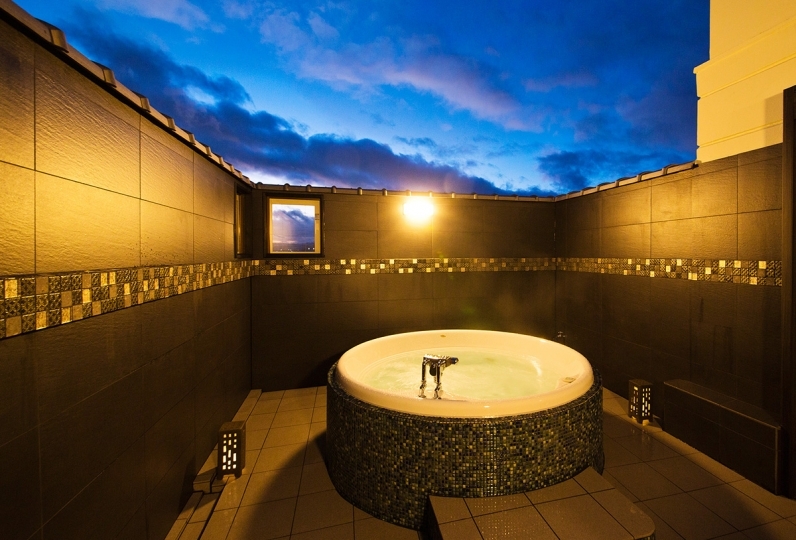 Our pride and joy lies with the view of the garden from the semi open-air bath. The garden will give you an impression of a dry landscape garden with its magical atmosphere. How about a drink at the bar on the 2nd floor after your bath? Chat with some other guests while you enjoy the complementary alcohol. For bedding we use Simmons and Fushimi brand futons and pillows to ensure a restful nights sleep. The kitchen is equipped with a refrigerator to make your stay more homey. 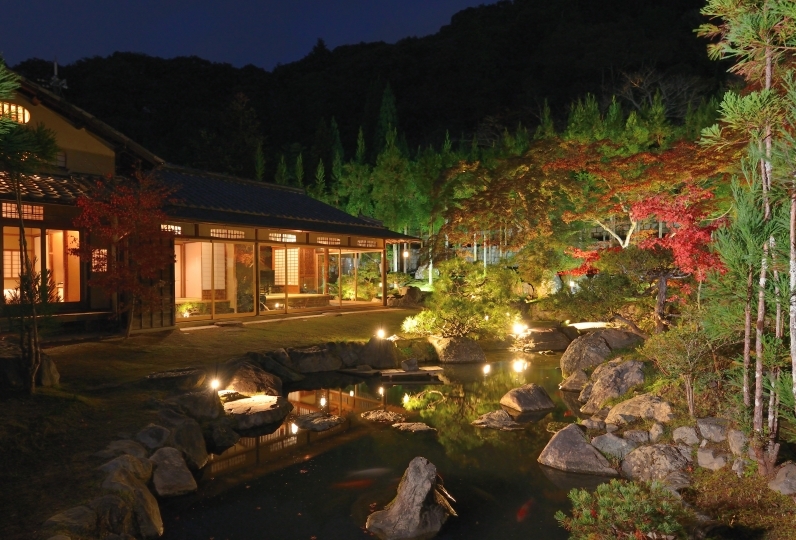 Why not come to Kyoto where you can experience Japanese tradition? I used it for the first time. Thank you for your celebration in response to sudden requests and celebrations of Mother's Kiyoshi. Just because my mother is old, I wish I had a chair when washing my body in the bath. I will also use it if I have the opportunity. Thank you very much. For a limited time, "Izumi Sen" will be catering your breakfast! For your satisfaction Izumi Sen provides Buddhist cuisine consisting of grains, beans, and vegetables - prepared without fish or meats. We hope you enjoy a unique side of the Japanese edible tradition. *Please refer to to the hotel's homepage for details of the menu. 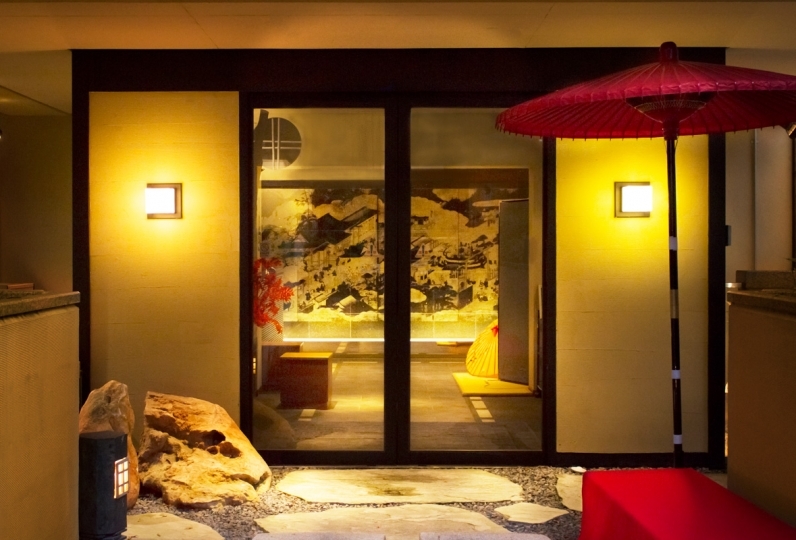 You can appreciate the garden as you bathe due to the Japanese paper lamps. 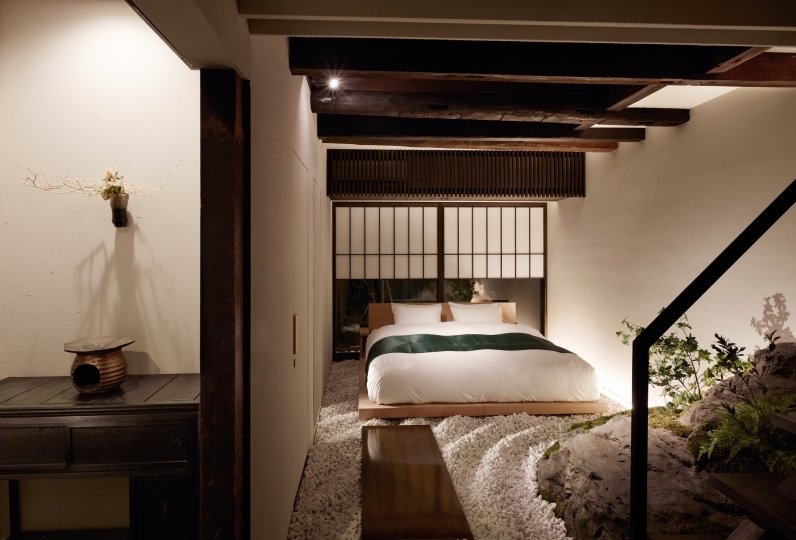 Please enjoy the unique Japanese paper lodging while your body heals. The 2nd floor of the hotel has a bar lounge. During your stay enjoy your favorite alcohol such as sake, shochu, wine, whiskey, cocktails, etc. Listen to nostalgic records while sipping on your drink. 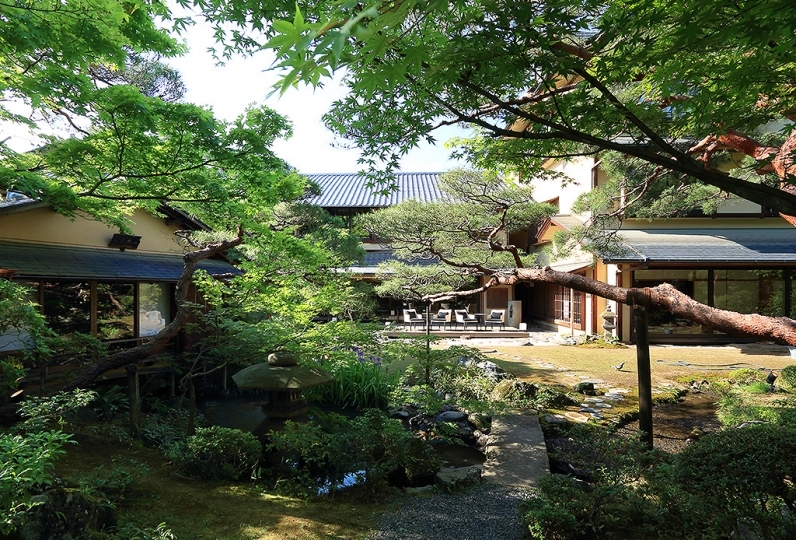 Next to Heian-jingu, the inn has a theme of Japanese paper of Higashiyamatei. 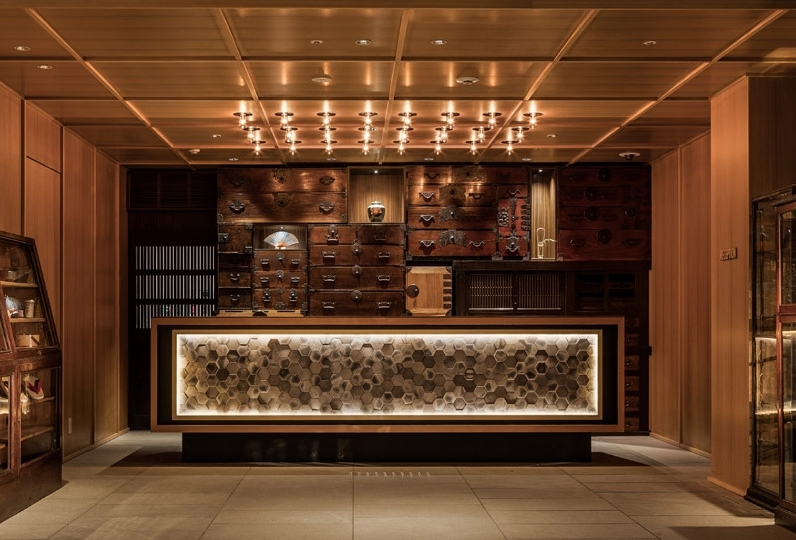 When you enter the foyer, Japanese paper lamps will welcome you. The rooms overlook the garden and have a semi-open air baths. Take a break and rest in the healing glow of the Japanese paper lamps. 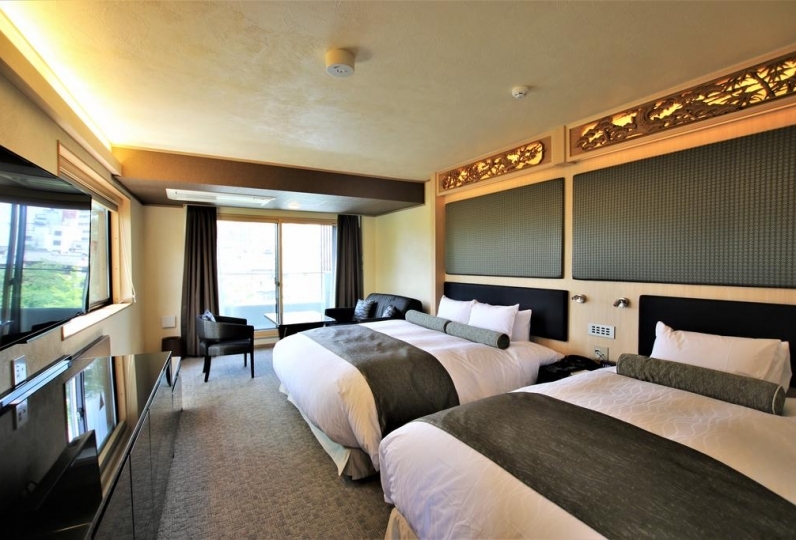 We use Simmons mattresses, the number one brand in the U.S., and futons from the well-established store, Fushimi. The Imaji bath and face towels all have a high thread count. ※ Please let us know in advance of your expected arrival time. Please inform us in advance if you plan to arrive after the check-in reception time (9:00pm). 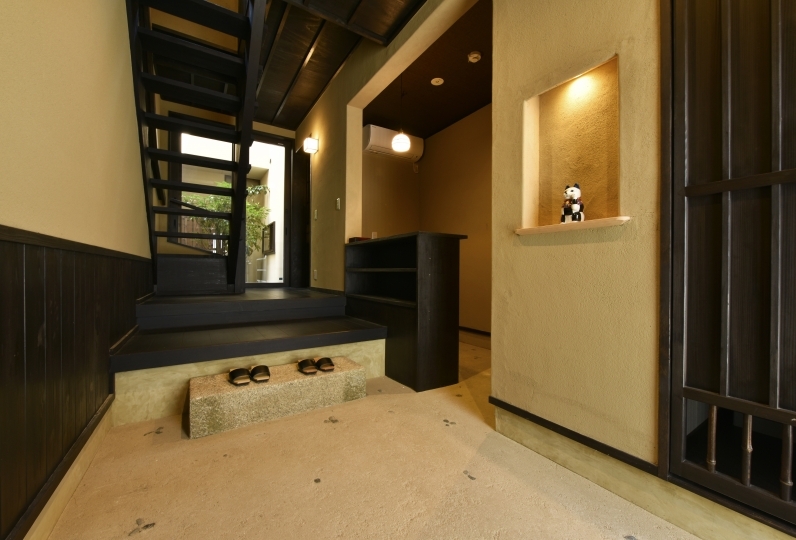 ※ When you arrive please contact the staff using the phone at the front door. We will unlock the door for you. Delivered between 8:00am and 8:30am in the morning. You can reserve up to 2 days in advance. If you cancel breakfast after 4:00pm the day before, a 100% fee will be incurred.